I'm a great admirer of Packard's work, particularly The Miracle Man. Sad to think that only a couple of scenes survive from the original Lon Chaney film. Well worth a look. If interested, I've posted a few stills from the photoplay edition here. Wonderful to see Packard being recognized. I must've missed those posts, Brian. Or maybe I had not yet discovered your blog back in March. Thanks. I left comments on both. I wish I could've done more on Packard, but I was getting very tired last night after all the Thanksgiving festivities. I had only read The Locked Book within the past few days so that's the only that was fresh in my mind. 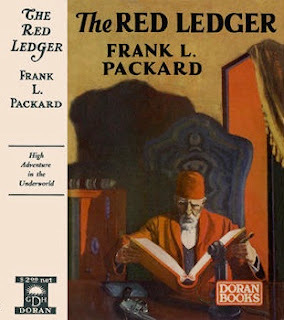 At one time I had about 15 of Packard's books but discovered in going through my shelves that I had sold many of them. I kept only a few of his adventure tales and all the Jimmie Dale books. I couldn't remember much about the other Packard books I have read over the years. I had to resort to internet research (gasp!) to fill in the holes of my memory. Then when I saw David Vineyard’s article on Jimme Dale I thought why am I even bothering? It’s so perfect I just had to link to it. Today is supposed to be a salute to Canadian writers or books set in Canada. I hope I'm not the only one who remembered. You might want to check out the other offerings at Todd Mason's blog. He's the substitute host while Patti Abbot is away for the Thanksgiving holiday. The links are not up yet, but they should be later today. These sound terrific, especially the exotic adventure tales, a(sub?) genre I particularly enjoy, particularly stories by George Worts and H. Bedford-Jones. Is any of Packer available now, and was any of it ever printed in pb? I personally prefer his South Sea crime/adventure novels to anything else he wrote. 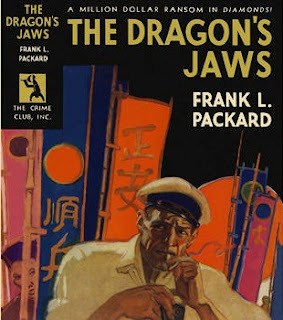 There are seven Packard books available via Project Gutenberg (I forget if you like me shun eBooks and digital formats), but none of them are the sea adventure books. No paperback editions at all that I know of. As for reissues I could find none by any reputable publisher, only those execrable POD things. Ugh. I'd avoid those. I acquired all my Packard books via eBay or used bookstores and I don't recall paying more than $15 for any of them, and I know that most of them I got for $8 or less. 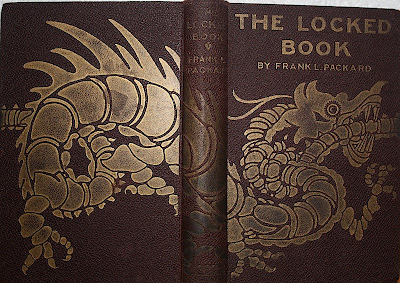 I just did a random search of the better books of the type you mentioned (THE LOCKED BOOK, DRAGON'S JAW, TIGER CLAWS, THE PURPLE BALL, SHANGHAI JIM, TWO STOLEN IDOLS and THE DEVIL'S MANTLE) and there were multiple copies of each of those six titles for sale. Most of them for under $15, though I suspect the cheaper ones will be worn and beat up reading copies. 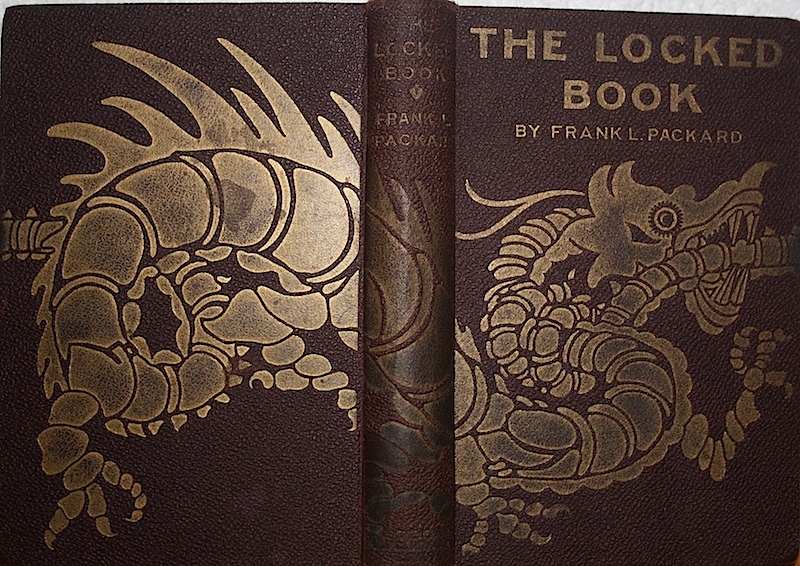 I will dig around in my boxes of books for sale and if I find a Packard sea adventure I'll just send it to you. How's that? I found several copies on ABE, haven't looked at the other sites incl. the one you gave me. A copy from you would be great! If you find one, check back to be sure I didn't pick one up. Terrific covers! Absolutely wonderful. If you saw those out on the shelf for sale, back in the day, how could you resist? 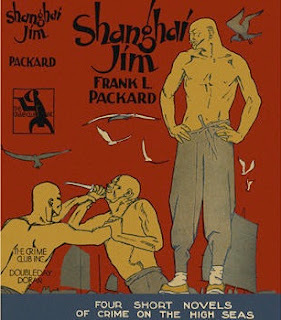 Haven't read any Packard, but I must say John, I simply LOVE these covers. Especially the Blue Envelope one. Just gorgeous! Though I'm not familiar with Packard, I still enjoyed reading your post. A bit of a late response here, John, but I thought I thought I might comment on the availability of Packard titles. POD pollution aside, I know of no Packard paperbacks... and this has had me thinking that his literary estate might have been a little lazy. After all, Canadian pulp contemporaries H. Bedford-Jones and Bertrand W. Sinclair were published in paperback in the 'fifties. The good news, of course, is that as a once-popular, but forgotten writer, his books tend to be plentiful and inexpensive. As a Montrealer, I find it interesting that one hardly ever sees a Packard title in his hometown. The last I picked up, a first Canadian edition of The Four Stragglers (1923), was in the 'FREE' box of a downtown bookseller. 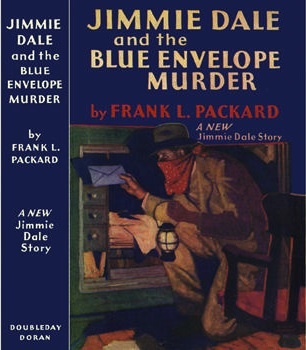 Project Gutenberg has downloads of seven of the Packard books including The Adventures of Jimmie Dale and the White Moll. I already mentioned that in my comment above. Thanks for the link, though.